Aliança Navegação e Logística is a key player in international traffic, with emphasis on serving South America, Central America, North America, Europe, Asia and South Africa. In Brazil, the company is a reference in cabotage, being one of the pioneer companies in returning to costal transport. Its client portfolio is composed of companies that are leaders in the most dynamic sectors in the economy, such as: automotive, chemical, electro-electronics, meat, fruits, hygiene and cleaning, and lumber. The high quality standards of its services are attested to by ISO 9001:2000 and ISO 14001:2004 certification issued by Germanischer Lloyd. This is one of its principal differentiations in the market. Aliança’s growth over the last few years is a result intensifying activities in all stages of the logistics chain, in cabotage and international transport. What do you expect from a good carrier? Punctuality, reliability and high technical standards? What about optimum handling of your cargo, comprehensive know-how in all the trades served and complete logistical solutions across the entire logistics chain? All that and even more – modern information systems, first-class service and efficient cost control – is what we can offer you. Because Aliança is reesented at key locations around the globe . 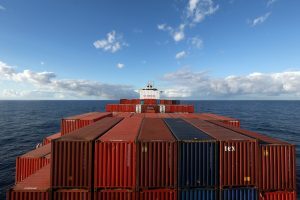 At the same time, we can draw on 9 liner services, spanning the world, connecting the continents and deploying around 25 container ships. The perfect interplay of all these factors ensures that Aliança has long ranked among the best partners to be found for global marine transport, first choice in the brazilian cabotage service and one of the leading providers on the North-South trading routes, demonstrates that we embarked on the right course. We wish to prove to you and ourselves on a daily basis that it is worthwhile to identify further growth potential in the marketplace and incorporate it in new, innovative service concepts.